Wading through the waters of blogosphere navigation can often be difficult. There are numerous sites out there that one can publish and blog on and just as many tools/widgets to help one do it. There are numerous networks of bloggers and even more followers or readers of blogs. With all of this going on, blogosphere navigation might seem impossible. However, once you've got a grip on the general scope of the matter, you'll be able to get a stronger grasp on all of it. The blogosphere is the general conglomeration of blogs that make up the Internet. 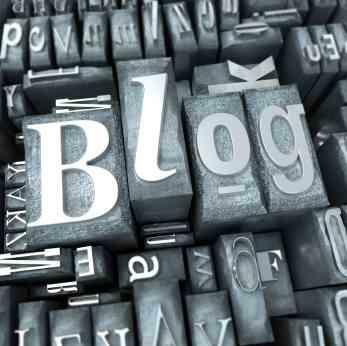 Every blog, no matter what site it is on or its topic, is a part of the blogosphere. There are also numerous ways that blogs can be connected to one another. For example, all of the blogs that are published on the Blogger platform have more connections between them than a blog on the Blogger platform has in common with a Tumblr blog. As an entity, the blogosphere has become a pop culture term. Bloggers and their opinions have become a driving force in everything from politics to media to business. Where Can I Publish My Blog? Where Can I Find Other Bloggers? Technorati: A blog search site, Technorati will help you find blogs that you can connect with. Christian Women Bloggers: This list of Christian Women bloggers (often known as a blogroll) will help you find blogs of that nature. Independent Fashion Bloggers: IFB connects fashion bloggers who don't write for other networks together. What Tools Are Out There To Help Me? Keeping afloat in a sea of new technology and media interests can sometimes be a bit difficult. Luckily, there are numerous blogging tools to help make your blogosphere navigation successful. Feedburner: One of the hottest technologies out there is using RSS feeds. Feedburner will create a smart feed of your blog--making it easier for others to keep tabs on your blog. StatCounter: StatCounter will give you real time feedback on your blog. You can use these details to craft content your readers will love. It can be a little difficult to figure out where you fit in the giant blogosphere out there. If you're looking to start something new up, one of the best tips out there is just to start slowly by commenting on other people's blogs that have similar content to yours. Make useful comments that other bloggers can use and slowly other bloggers will start to leave you comments that you can work with.